Pets, young children, and life in general can quickly make your carpet and upholstery dingy and dirty, but fortunately, the right carpet and furniture cleaning service can fix that. Instead of replacing your furnishings, read what the experts at Yaeger Rug & Furniture Cleaners in the Rochester, NY, area have to say. With more than six decades of experience maintaining carpets and upholstery, they have the expertise to make your carpets, area rugs and furniture look like new. Blot, Don’t Rub: Just like clothing, attack stains with a blotting motion, not by rubbing. This will ensure the stain isn’t pressed more deeply into the fibers or cause fiber distortion. Use Baking Soda to Remove Pet Stains: A pet in the midst of potty training can wreak havoc on carpets. After blotting with paper towels pour a generous portion of baking soda on the stain, allow several hours or overnight to dry, then thoroughly vacuum the area. If in doubt how to proceed? Call Yaeger Rug and Furniture Cleaners at (585) 671-7390 they will be glad to walk you through the process. 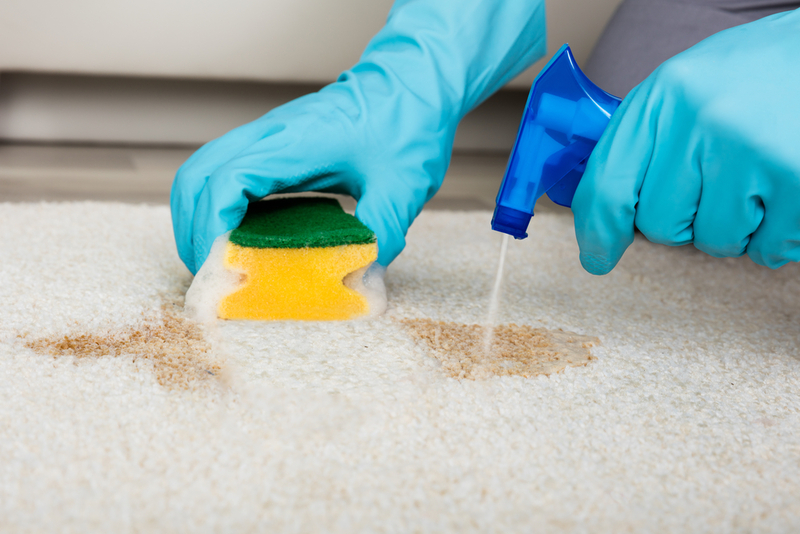 Schedule Routine Deep Cleaning: All carpets benefit from regular deep cleaning. One of the most effective ways to do this is by warm water extraction. Yaeger Rug and Furniture Cleaners equipment and cleaning solutions are both environment friendly and child and pet safe. Consider hiring a professional carpet cleaning service to take care of this task for you. If you have stubborn carpet or area rug stains or need a superior upholstery cleaner, contact Yaeger Rug & Furniture Cleaners to take care of the job quickly and professionally. Call (585) 671-7390 to speak to a member of their helpful carpet cleaning service staff, or visit their website to see their full list of services.